Category: Books, Ancient Wisdom, Religion and Spirituality Tags: ancient wisdom, gnostic faith, gnostics, history, history of gnostic, mystical movement, religion, spirituality. The Secret History of the Gnostics offers long-awaited illumination on the mystical movement that teaches ‘gnosis’ – knowledge of God as opposed to unquestioning faith. Acclaimed author Andrew Phillip Smith delves into the myths and practices of this ancient movement, exploring its popularity during 2nd century AD, its subsequent decline under the weight of orthodoxy in the Church, and its present-day resurgence. Gnosticism has travelled a fascinating path – from the Manichaeans in Modern Persia between the 3rd and 7th centuries AD, to the triumphs and tragedies of the Cathars in Southern Europe between the 12th and 14th centuries, to, finally, today’s Mandaeans in Iraq. However, as the author points out, the revival of Gnosticism extends further than these narrow sects, offering inspiration to a legion of literary figures, including Dan Brown and Philip Pullman. Gnosticism’s emphasis on personal over organized religion, in keeping with the doctrine of the early Christian era during which it thrived, has found particular resonance with today’s multicultural world. 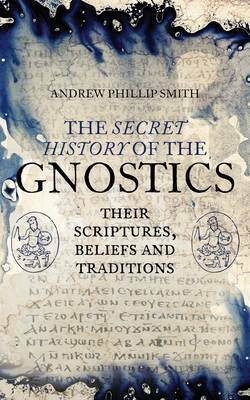 The Secret History of the Gnostics is not simply an authoritative account of one sect’s practical beliefs and customs – it is, in effect, a manifesto, an appeal to those inspired by or drawn to the Gnostic faith not to forget its origins. Andrew Phillip Smith is the author of several books and articles on Gnosticism, early Christianity and esoterica. His books include A Dictionary of Gnosticism; The Gnostics: History • Tradition • Scriptures • Influence; The Lost Sayings of Jesus: Annotated & Explained; Gnostic Writings on the Soul: Annotated & Explained; and The Gospel of Philip: Annotated & Explained. He is also editor of The Gnostic: A Journal of Gnosticism, Western Esotericism and Spirituality, for which he has interviewed or included articles by people such as Alan Moore, Colin Wilson, Patrick Harpur, Sean Martin, and Stephan Hoeller. He also writes occasionally for Fortean Times.